ET phone Earth! We could be on the verge of answering one of the essential questions of humanity that has captivated our minds for centuries. As we advance in technology the search for extraterrestrial life becomes more sophisticated and promising. But the real frosting on the cake would be finding any signs of an intelligent alien civilization. The Search for Extraterrestrial Intelligence (SETI) project is looking carefully for these signs, listening to the Universe that may be full of potential ET signals. In an interview with astrowatch.net, key figures of alien life hunting discuss the ongoing search for extraterrestrial life. SETI’s Seth Shostak, Paul Shuch, Douglas Vakoch and Gerry Harp talk the odds of finding ETs, explain the famous “Wow!” signal received in 1977 and unveil the future of the search for aliens. Seth Shostak: No one knows, obviously. But based on the speed of our SETI searches, I predicted five years ago, in a talk and a paper, that we could find a signal proving the existence of extraterrestrial intelligence within two dozen years. More recently, NASA says the same thing, but “life” not “intelligent life”. I suspect they’re betting more heavily on finding evidence of microbial life in the solar system. Gerry Harp: It might happen in less than 20 years. If I were to guess, I’d say there is a 50% chance that we will discover life elsewhere within 30 years from now. The first generation of planet-characterization telescopes in space may be coming on line in less than 20 years, but my guess is that life won’t be discovered until the second generation. Astrowatch.net: In your opinion, what was the famous “Wow!” signal? Was it really a signal from an alien civilization? Harp: The “Wow!” signal was almost certainly radio frequency interference. The signal failed to pass even the simplest tests to exclude interfering signals from that observation campaign. From another perspective, at the Allen Telescope Array (ATA), we see dozens of signals comparable to “Wow!” every day. This is simply because we have much more computational power than they did back when “Wow!” was seen. If the “Wow!” signal were seen today, it would be a yawn. However, there is a silver lining to the “Wow!” signal. “Wow!” has inspired a lot of public interest in SETI. Despite being a not very scientific result, public awareness of “Wow”! has been beneficial to SETI. So I generally think of “Wow!” as being a good thing from that perspective. Shostak: We cannot say that “Wow!” had anything to do with extraterrestrial intelligence. I was searched for a bit over one minute after first being found, and was not detected again. It was a one-off, and could easily have been terrestrial interference. It’s not good science to make claims that this was due to extraterrestrial beings. Vakoch: The “Wow!” signal had all the characteristics of a real signal from ET with one critical exception – it never repeated. Without this one essential requirement of science – that observations can be replicated – we have no basis for thinking it was really from an extraterrestrial civilization. A scan of a color copy of the original computer printout, taken several years after the 1977 arrival of the “Wow!” signal. It was a strong narrowband radio signal detected by Jerry R. Ehman on August 15, 1977, while he was working on a SETI project at the Big Ear radio telescope of The Ohio State University. The signal appears to have come from an area of the sky with no stars or planets, northwest of the globular cluster M55. Image Credit: The Ohio State University Radio Observatory and the North American AstroPhysical Observatory (NAAPO). Astrowatch.net: Why the “Wow!” signal is so special? How much it differs from the other ordinary signals we receive every day? Vakoch: In the SETI Institute’s ongoing search for radio signals from other civilizations, we find promising signals all the time. The critical difference is that we can immediately follow-up to see whether the signal is really coming from a distant star, or whether it’s caused by a satellite in Earth’s orbit or a radio transmitter on Earth. When the “Wow!” signal was detected in 1977, such real-time follow-up was impossible. Shostak: It’s special because the name is appealing. There were more than 100 other types of signals back then, before we had equipment able to quickly follow up on signals. Shuch: There are about a half a dozen tests that can be run on received signals to mark them as being of possible extraterrestrial origin. Many detections pass one or a few of these tests, and remain interesting SETI candidates. 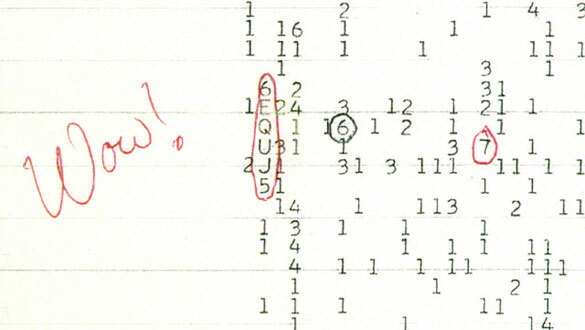 The “Wow!” signal was the first detection to pass all of the tests to which it was subjected. Of course, even that is not conclusive evidence, because there was no independent confirmation, a necessary condition for certainty. Harp: It isn’t at all special or different from signals that we observe every day at the ATA. I hope you’re not disappointed that I’m not so impressed by the “Wow!” signal. I think you will find that many professional scientists in the field do not find the “Wow!” signal very convincing. But that doesn’t mean that SETI isn’t a good thing to do. There is still a 50% chance, by my estimates, that our first discovery of life off of our planet will be a discovery of a transmitting civilization. Shuch: We will in the future; we have in the past. We continue to see a few interesting candidates every year. The “Wow!” was merely the first such phenomenon to be observed, and then extensively sought in follow-on experiments. Until such time as they can be independently verified, all signals are enigmas. Shostak: Less probable. Many SETI experiments, including ours, have the ability to “follow up” almost immediately. When you can do that, “Wow” type signals don’t seem to occur! Harp: We see such signals all the time. To answer a different question, we do sometimes observe signals that look even more interesting, from our perspective, than “Wow!” Sometimes the signals that repeat – “Wow!” was not repeatable – that carry on for some time and then disappear. I wish I knew more about such signals, but if we can’t prove a signal really is ET, it is our duty to not make a big deal about it. Vakoch: We receive promising candidate signals every night, but so far, they don’t repeat, so we have to assume they’re made by humankind. Astrowatch.net: How close is SETI today to finding signals from an extraterrestrial civilization? Vakoch: We could find a signal from extraterrestrials any day now. And the search will get better as technology advances. In the next twenty years, we should be able to look closely at about a million stars for signs of advanced civilizations, and that’s a large enough number to have a reasonable chance of finding intelligence in the cosmos, if it’s really out there and trying to make contact. Vakoch: SETI searches through the cosmic static, looking for signals that stand out from the background noise as distinctly artificial, signals that nature can’t create. We need a lot of computing power to sort through all that data. The good news is that computing power increases every year, so the normal trajectory of technological progress is on SETI’s side! Harp: We need faster signal processing. The ATA is actually not sensitivity limited. We are limited by the large amount of so-called radio frequency interference in our observations. In order to find ET faster, we need to be able to process a larger number of candidate signals and this requires a lot more computational power. If I were king, I would upgrade the electronics at the ATA with a $10 million dollar analysis system to increase our observing speed one hundred-fold. Then we’d crank through observations of the entire sky and find ET in a lot less time. Paul Shuch is the Executive Director Emeritus of The SETI League, Inc. 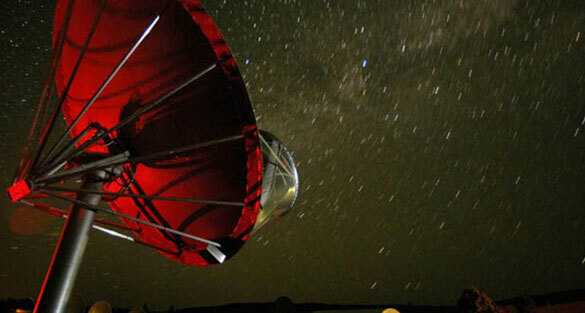 He is also the principal investigator for the Invitation to ETI, a web-based SETI experiment. He developed the San Marino Scale, an analytical tool for quantifying the significance of transmissions from Earth into Space. He’s the author or editor of more than 650 publications, including a dozen books and roughly 300 papers in various conference proceedings, technical, scholarly and popular journals. Douglas Vakoch is the Director of Interstellar Message Composition at the SETI Institute. He leads the SETI Institute’s project to compose interstellar messages of the kind that may some day be sent in reply to a signal from extraterrestrials. As a member of the International Institute of Space Law, he examines international policy issues related to sending such responses. He serves as Chair of both the International Academy of Astronautics (IAA) Study Group on Interstellar Message Construction and the IAA Study Group on Active SETI: Scientific, Technical, Societal, and Legal Dimensions. Gerry Harp is the Director of the Center for SETI Research. Most of his effort is still focused on doing SETI with the Allen Telescope Array (ATA), a radio interferometer telescope owned by the SETI Institute. The technical side of this work involves automated control of the ATA and ultra-high speed digital signal processing systems to isolate weak signals potentially from outer space, from the sometimes strong human-made signals all around us. Reposted with permission from Astrowatch.net. See the original article here. Look at DULCE Arizona they al ready here.